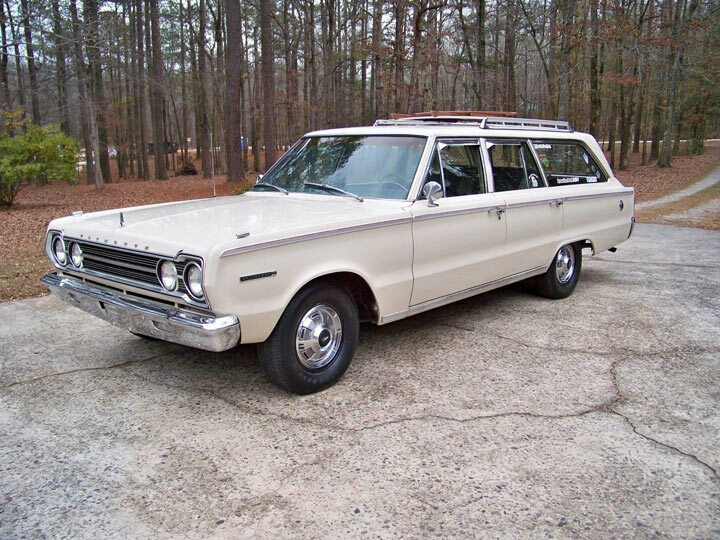 This 1967 Plymouth Belvedere II is a two owner car with just 61,787 mile on the clock. Acquired from the original owner 20 years ago the seller had visions of doing a restoration but the reality is it’s a super clean survivor so he’s enjoyed it all these years while putting minimal work into it. 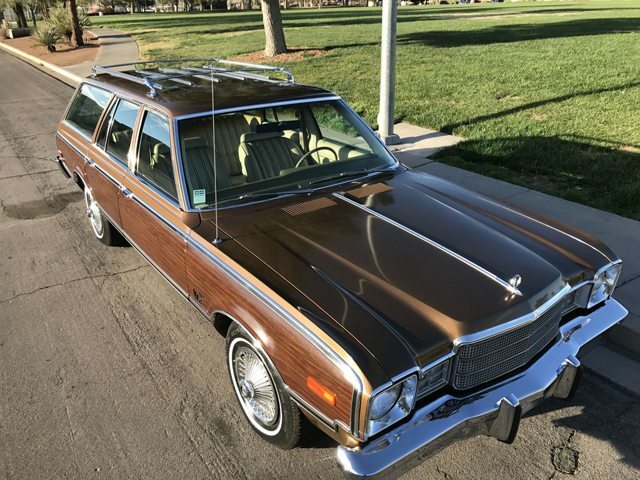 Found on Ebay in Fayettville, Georgia, the early bidding shows there’s plenty of interest in this Mopar wagon. 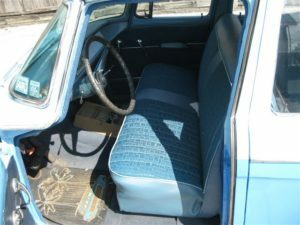 This solid and very original looking 1956 Plymouth has spent most of its life in Oklahoma where the conditions and previous ownership have been forgiving to the car’s condition. Although there has been one repaint everything else about the car looks original and correct. The Briar Rose/White color combination just screams 50’s and the crazy color breaks are must’ve been pretty outrageous when two-toning was just coming into vogue. 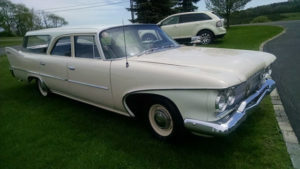 A 1960 Plymouth station wagon is such a cool car in it’s own right and and stripped down versions with dog dish hubcaps, 3 on the tree manual transmissions and 6 cylinder engines like this one really have an appeal that is getting greater appreciation in recent years. 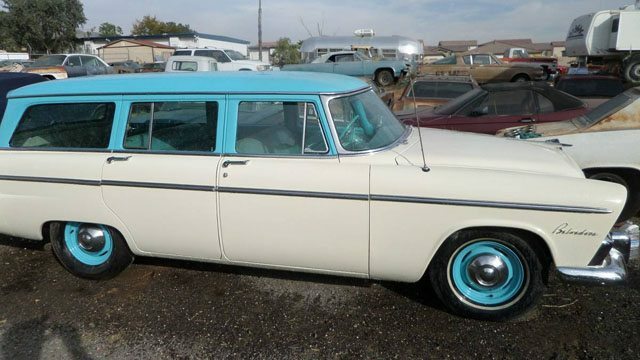 From the outside this Plymouth wagon has all the attributes of a base level car but take a look under the hood and you’ll see a pretty cool setup with the always reliable 225 6 cylinder engine. 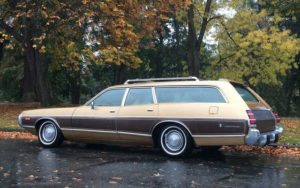 The wagon is listed on Ebay in Penns Creek, Pennsylvania with a $24,900 BIN. 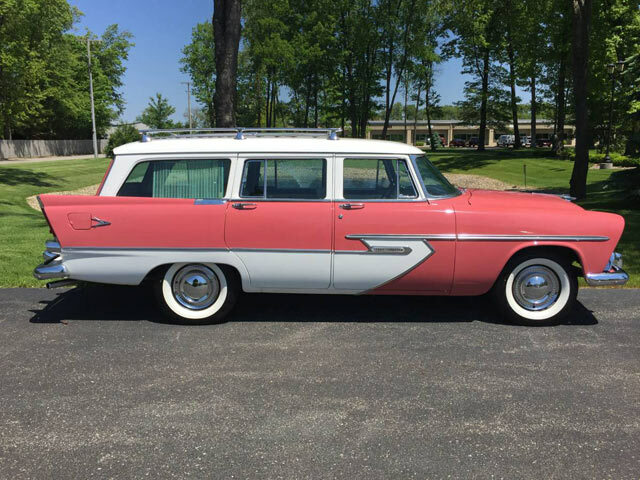 A ‘one gal’ owner form new, this 1955 Belvedere is available for the first time in over 60 years. There has been one repaint that is described as ‘done the right way’ but otherwise this 70,028 mile Plymouth looks to be all original. 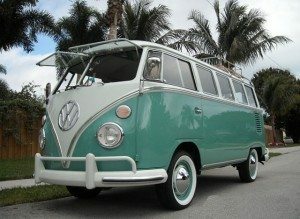 I absolutely love the two-tone ‘Miami Blue’ and White which looks fantastic with the painted wheels and dog dish caps. This Plymouth is listed on Craigslist in Lemon Heights, California with an asking price of $22,500. Plymouth Volare’s were notorious rust buckets so finding a pristine example like this one is a rare feat! The dry Nevada air has helped immensely in keeping the rust at bay but this Volare is not only rot free but it’s clear that it has lived a charmed life away from the elements with no evidence of fade or patina. Faux wood wagons almost always have some wood fading but this one looks to be factory fresh. You can find this Volare on Ebay where it is being auctioned at no reserve.